At Walks of Italy, travel is our passion. From our extensive online guides to the latest travel tips and our sustainable travel initiatives, we want you to reach beyond the well-worn tourist track and connect with Italy one walk at a time. If you want to walk with us, check out our expert guided tours of some of Italy’s most life-changing sights. Want to spend time in some small towns in Italy? Go north! Although cities like Milan, Venice, and Verona get all the fame, northern Italy also boasts a number of beautiful, Italian towns, many backdropped by snow-capped mountains or stunning seaside. For help getting started, here are 10 of our favorite off-the-beaten-path towns in northern Italy. (And don’t miss our earlier posts on the best small towns in central Italy and in southern Italy!). 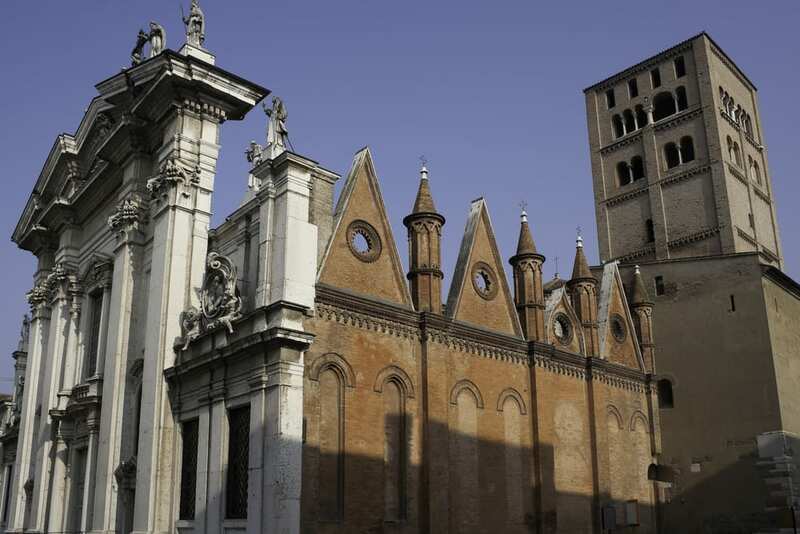 Once upon a time, Ferrara was one of Italy’s first modern cities! Back in the 14th and 15th centuries, the Este dynasty, which ruled Ferrara, commissioned major projects of fine art and culture (including literature, cinema, and music). Today, popular sights include the gorgeous Gothic cathedral, majestic castles, and the Renaissance city walls… not to mention, of course, a plate of capellacci di zucca (squash ravioli with a butter and sage sauce), a local specialty of Ferrara. 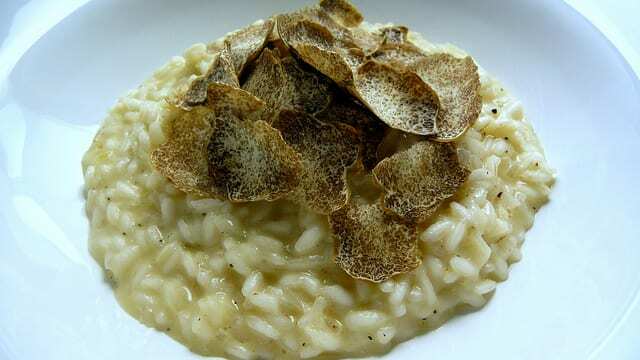 (Here are more foods to try in Emilia-Romagna!). Looking for a lovely little town with winding streets you can stroll for hours? 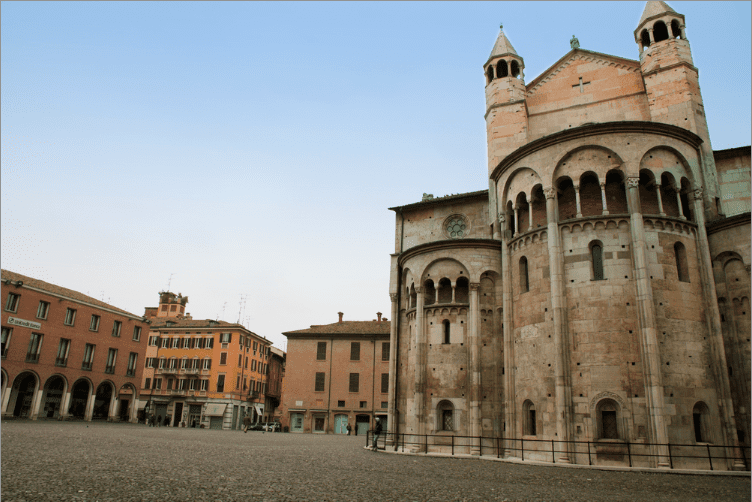 Head to Modena—and bring your appetite! This town is the home of both balsamic vinegar and tortellini (a ring-shaped, stuffed pasta that’s famous throughout Italy, and the world!). (Here’s what you have to know about the balsamic vinegar of Modena!). But it’s not all about food in Modena. Luxury car lovers will want to check out the rare collections and manufacturing plants of Ferrari and Maserati, located nearby. 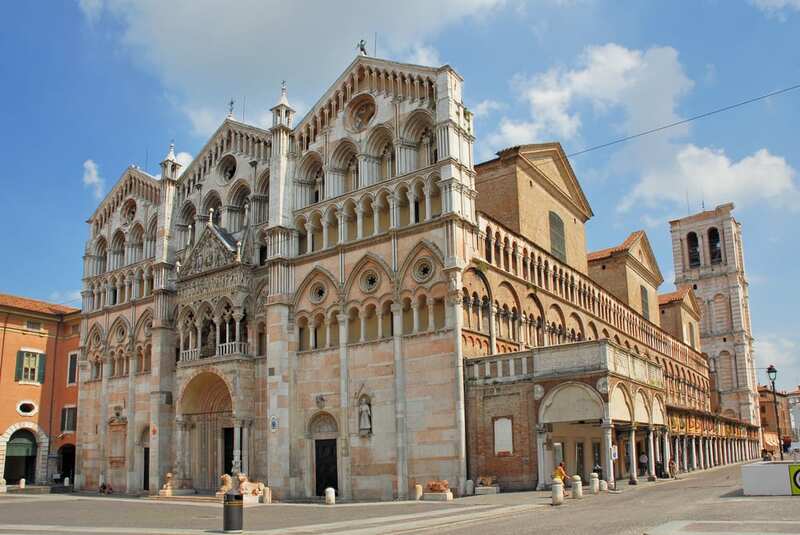 And be sure to visit the Duomo di Modena (Modena’s cathedral) and its newly-restored Torre della Ghirlandina, too. If you love Roman history, add this UNESCO World Heritage site, located right near the Slovenian border, to your list! 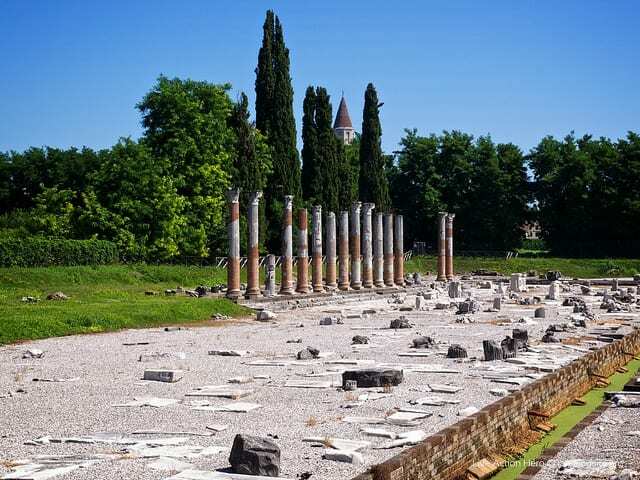 Aquileia was one of the most important cities of the early ancient Roman empire. You can still get a sense for how beautiful it must have been, thanks to its ruins (including interesting mosaics and a forum). Just be sure to pack comfortable shoes—you’ll want to do a lot of walking to explore the archaeological site! As well as ancient ruins, the town, which has just 3,500 inhabitants, also boasts a lovely Gothic cathedral. A very popular summer destination for northern Italians, Camogli, located approximately 30 minutes from Genoa, is known for its picture-perfect azure beaches, characteristic city center with tromp l’oeil-decorated homes, fresh seafood and local festivals like the Sagra del Pesce (“Feast of the Fish”) and Stella Maris. 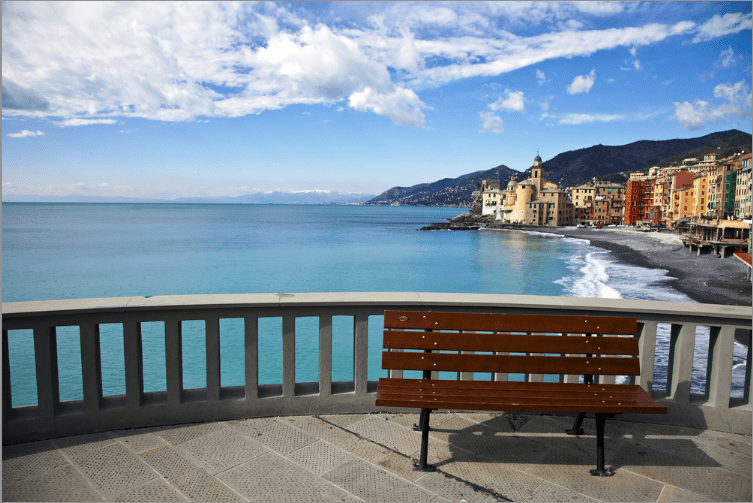 (Here’s more about Camogli!). Travelers flock to this mountain town for its gorgeous scenery, winter sports—and shopping! Duty-free shops and designer stores here come with not only savings, but a stunning panorama of the Alps. If you can, come to Livigno in February, when the town’s famous polo tournament takes place… on the snow! Also known as Mantua, Mantova might be best-known to English speakers as Romeo’s town of exile, from Shakespeare’s Romeo and Juliet. But there’s a lot more to explore than that! Founded by the ancient Romans and home to the poet Virgil, Mantova is filled with art and history. The Palazzo Ducale, built by the royal Gonzaga family, is a magnificent must-see, and the town’s location on a lake makes it even more stunning. Better yet? Mantova is also a modern-day model for Italian daily life; the town is consistently ranked as having the highest quality of life in the country. This foodie paradise attracts tourists for its famous white truffle, hazelnuts (it’s home to Ferrero, the makers of Nutella!) and wines like Barbaresco, Barolo and Moscato. 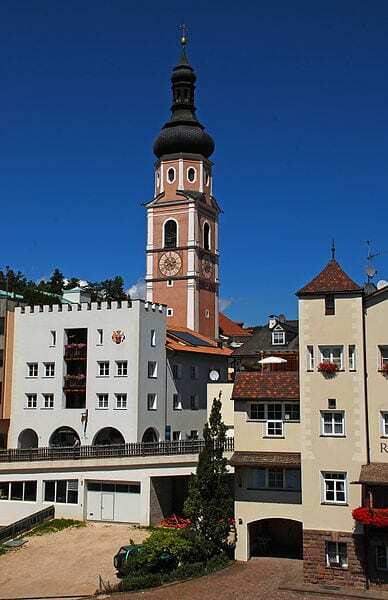 But it’s also a must-see for its quaint city center and gorgeous, winding vineyards in the nearby countryside. If you can, visit on a weekend in October and November for the annual white truffle festival, the Fiera internazionale del Tartufo bianco d’Alba. Also known as Kastelruth, this predominantly German-speaking gem, located in South Tyrol, is picturesque throughout all four seasons. You’ll enjoy the vibrant, colorful flowers in the spring and powder-white mountain tops in the winter! Head north for a healthy dose of mountain air near the Dolomites, and for traditional specialties like creamy, fresh yogurt and apple strudel. One of northern Italy’s most luxurious small towns, this ski haven is tucked behind Mont Blanc, the tallest mountain in Europe. 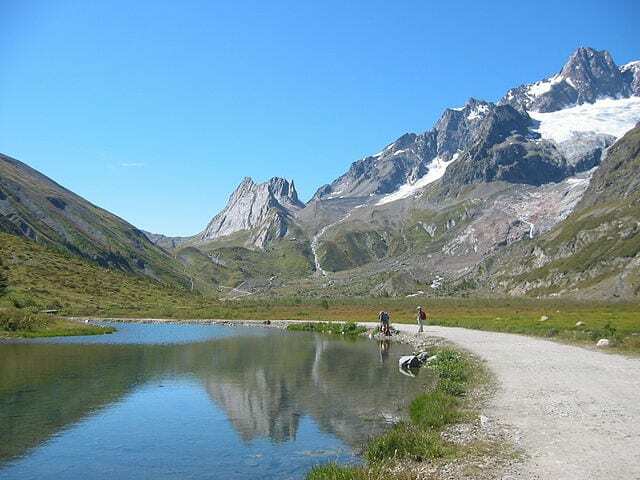 Popular activities include skiing, hiking, shopping, visiting the spa, and enjoying local specialties, like fondue. The town comes alive at aperitivo—whether after a day on the slopes in the winter, or when the sun goes down after a long hike in the summer! A must-see for grappa lovers! The hometown of the potent Italian digestivo, this is where you’ll find many shops with a wide variety of the beloved liquor, and even tastings and tours. Make sure to take a walk on the wooden Alpini Bridge for a spectacular view of the town along the Brenta River. Have you visited any of these towns before? Which would you like to explore? Let us know in the comments! The latin poet who was born in Manua was Virgilio, not Virgin! Great list! Exactly what I was looking for to do 🙂 I will definitely visit Aquileia and Camoglie. But also the towns in Pieanura Padana, Ferrara, Mantova. Thanks for the inspiration. How about Malcesine on Lake Garda? Lovely little town, complete with a castle, at the foot of Monte Baldo, and nestled on beautiful Lake Garda. The northern end of the lake seems to be somewhat less “touristy” as well, although there were lots of Austrians visiting when we were there (2011) – which was fine of course. P.S. I would agree wholeheartedly with the inclusion of Courmayeur on this list, my favorite place in the world! Hi my father is 87 and was in Italy during the war I am trying to find a town where he lived with the love of his life but has been unable to find it on map or any of my searches. The name of the town is something like Cevedelli or Chevedeli or Shevedelli something like this is was close to Trieste, If anyone can help me find this town I would be so happy. I would like to take my dad back to Italy if possible. Hi Deb, we’d love to help! Is it possible that’s Cevedale on the border of Lombardy and Trentino Alto-Adige? There is a town called Cividale del Friuli which is about 56 km from Trieste. I am not sure but thought I would mention it. 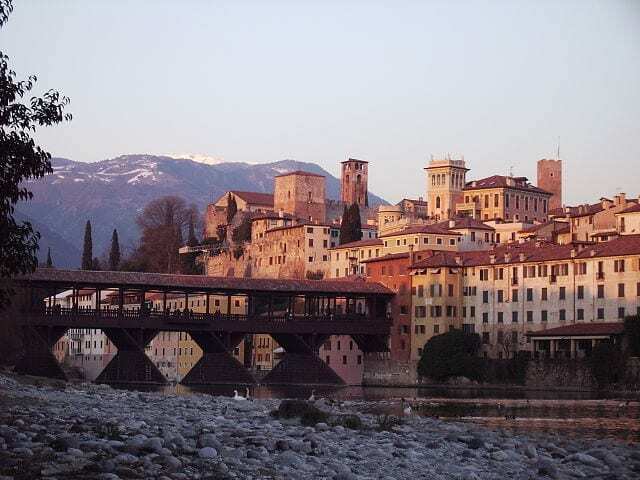 Yes, Cividale is a lovely town complete with a beautiful bridge dating back to the 15th century. Just outside the town there are several local wineries where you can taste wine including schoppetino and other reds. Hi, I’m trying to search for information on my grandparents coming thru Ellis Island. It’s been difficult & now I think I’m getting close. My recollection is the town they lived in was Piedmont – that’s the only information I have – I’m hoping someone may be able to help with a suggestion re: Port of Departure – that would help me very much. Thank you in advance! Ciao Dee! Piedmont is a region in Northwest Italy and the closest port of departure is Genoa. Good luck and let us know if you have any questions! A superb list! I wish to visit Mantua & Alba in my next visit to Italy.